Mike Taylor presented our Crew Leader, Rob Matthew, with a cheque for £500. The donation was made on behalf of Sabic UK Petrochemical, Olelins 6 on Wilton Site, Redcar: The Scrap Metal Fund. 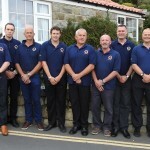 Mike nominated RBRB to Sabic as a recipient of the funds raised to show his gratitude for the help the rescue boat provided at the annual Kayak Fishing Festival held in Runswick Bay every year which Mike now organises. RBRB are hugely grateful for this donation and Rob thanked Mike for his continued support. On Thursday 22nd September, just after 1800 hrs, RBRB received a pager call from the Coastguard to launch to assist an elderly couple who had become stranded by the rising tide on the rocky shore line near Fillet Tail, having been walking for six hours. Staithes Coastguard and Staithes and Runswick RNLI were also in attendance. 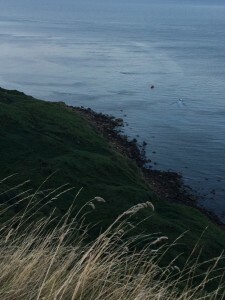 RBRB were required to get Crew onto the shore and recover the casualties to the Staithes boat All went well and Runswick Rescue returned to shore in fading light following Staithes RNLI into Runswick at around 7.20 pm. Despite their ordeal, both casualties were fine and well with no apparent injuries and returned to their car for their journey home. 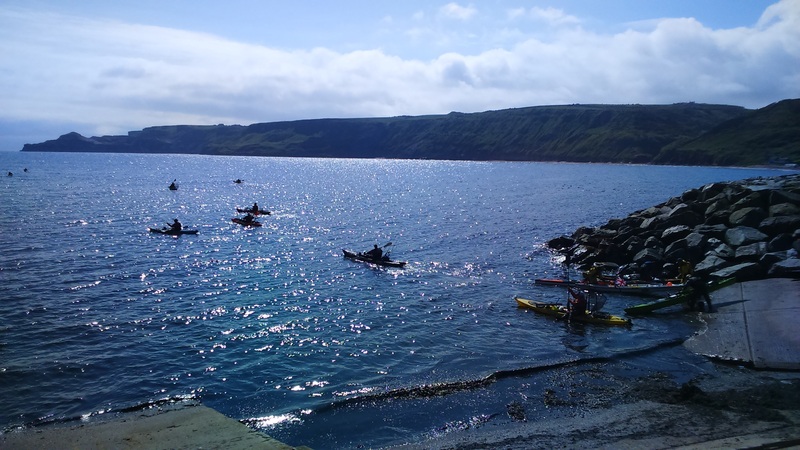 Runswick Bay Rescue Boat Weekend held over 12th to 14th August 2016 was a hugely succcessful event, raising almost £5,000 for the Charity. Special thanks to all who helped and donated. On 23rd August, on a very hot day, on Runswick Bay beach, RBRB Crew received a pager call to deliver the charity’s defibrilator to a suspected heart attack patient on the beach. 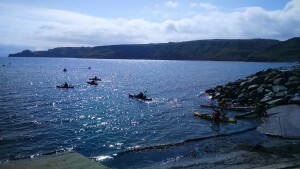 Runswick Rescue launching authority notified Humber Coastguard and initiated the Coastguard response. Coastguard teams from Staithes and Skinningrove attended along with Helimed 99 which was already in the area. We are pleased to report that the casualty made a full recovery.